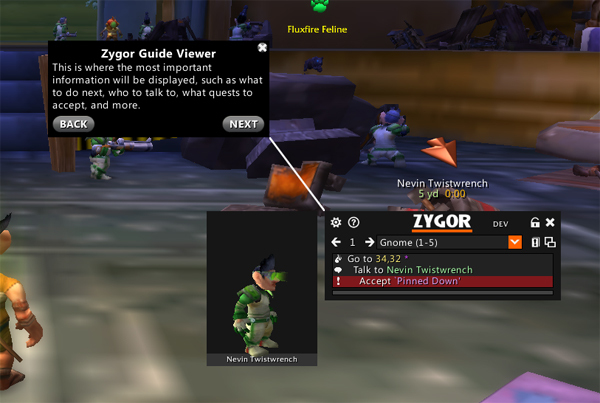 Your Zygor Guide has a built in Tutorial that you can accessed at anytime if you're ever feeling confused. Simply click the (?) Help button on the Guide Frame to pull it up. This feature will highlight the different components of the guide and explain how they are used. If you have further questions please consult the later portions of this manual.